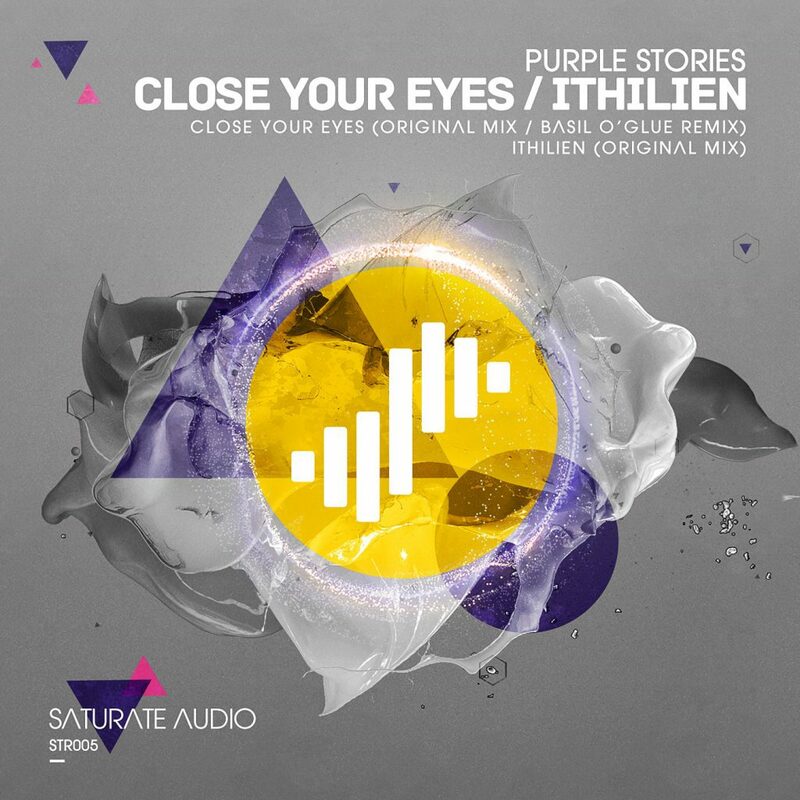 The top project Purple Stories from Poland with releases and remixes on prestigious record labels like Flashover recordings, Armada Music, Alter Ego records and many more delivers the 5th release on the newly established record label Saturate Audio owned by Basil O’Glue and Styller. It includes two big anthems to play on repeat mode in your set. Firstly is the massive Close Your Eyes. Hypnotic big room trancer perfect for the peak time moment of any well thought progressive trance set. It is banging and very energetic as we love it to be. Its playful with twists and tricks and full on as well with epic hands in the air synthy theme that is destined to bring goosebumps from head to toe. For the darker deep trance fanatics Basil O’Glue steps in to transform the original into a superb deep progressive trancer withhaunting basslines, bubbly trance beats and most importantly mysterious and spacey atmosphere. Basil O’Glue turns the original melodic theme into a huge kind of synthy lead that will put a spell on you and you will remember it for long. Once again the talented Greek producer shines with his skills and creativity. Second original track included is Ithillien. The Purple Stories boys continue on the same big room progressive trance pathway and compose a huge club speakers destroyer. They inject their track with a massive unforgettable synthy theme that is so powerful that will energize your senses instantly. Top EP that will stand out from the crowd and everybody will request its title. Huge Stuff!